I receive an error message about a "read-write access" problem. What can I do? This problem is most likely related to access rights provided to the Database Converter by your operating system. 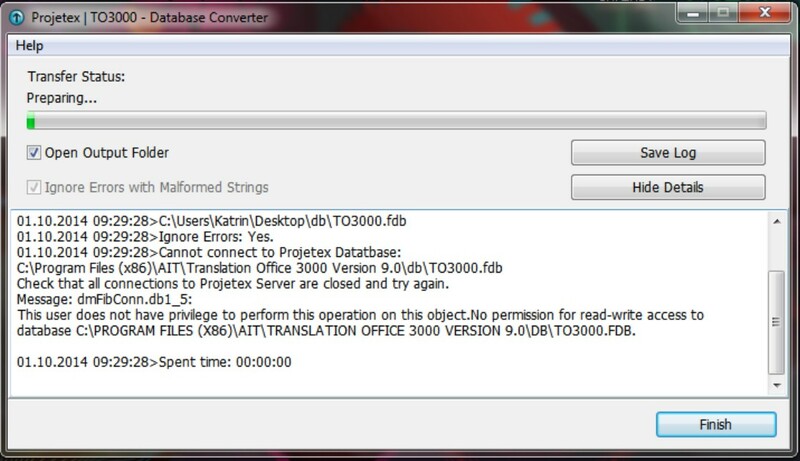 Please try to launch the Database Converter in administrator mode. For this, right-click the shortcut (or on the EXE file in Explorer) and select Run as administrator. This should resolve the problem at this point.